United Nations Ambassador Nikki Haley on Wednesday criticized former Secretary of State John Kerry for his secret meetings with the Iranian regime about the nuclear deal. The Trump administration pulled out of the Iran nuclear agreement in May, saying it was fundamentally flawed and slapping sanctions back on the Iranian regime. This undid one of the Obama administration's signature achievements, and Kerry has responded by engaging in rogue diplomacy with the Iranians to salvage the deal. 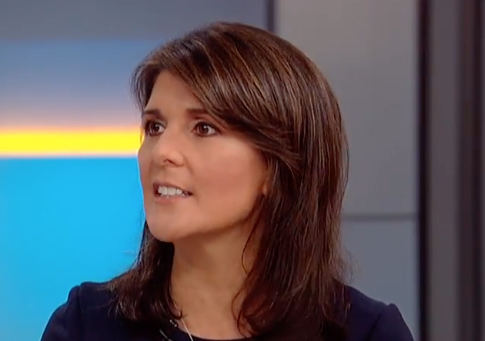 "What Secretary Kerry did was not only disrespectful, it was hurtful to America," Haley told Fox News. "When we are sitting there trying to get Iran to come to the table in a way that they understand that the ballistic missile testing has to stop, the support of terrorism has to stop, they have to quit selling arms to the Houthis–to have another American go in and say, ‘Don’t worry about it,' that absolutely is anti-American." Kerry said he met Iranian Former Minister Javad Zarif in Norway, Munich, and other international forums.